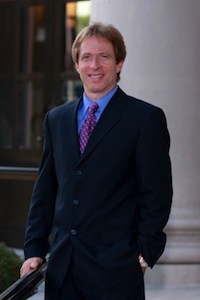 The Law Office of Mark A. Siesel, with offices conveniently located in the Bronx, White Plains, and a satellite office in Peekskill, New York, has represented the victims of all types of personal injury and wrongful death cases in the federal and state courts of New York for the last 28 years. As our founder, Mr. Siesel is personally involved with each case, from inception of the action through trial. Our offices represent those injured in car crashes, motorcycle, bus and truck accidents, construction accidents, on the job accidents, slip and fall accidents, elevator and escalator accidents, as well as the victims of medical malpractice, nursing home neglect, and those who suffer injuries due to defective products and dangerous medications. Our office zealously and aggressively represents our clients and has obtained numerous successful settlements and verdicts since 1986 worth several million dollars for our clients. We pride ourselves on personal dedication to our each client. Clients are kept promptly abreast of all developments in their cases on a regular basis and all phone calls, emails, faxes or other communications are responded to immediately, and always by the end of the business day if we are in Court. Our office also represents clients in cases in which they have suffered serious injuries as a result of dog and animal bites, burns, or suffered injuries at the hands of an uninsured or underinsured driver. We demand that the insurance companies and their defense counsel provide the maximum possible compensation for our clients’ past and future pain and suffering, lost earnings, past and future, medical and hospital expenses, and loss of enjoyment of life. We will litigate through trial any meritorious case which the insurance companies refuse to resolve fairly and justly. Our philosophy, particularly in cases in the northern Hudson Valley, where jurors and judges are sometimes not favorable, is to prepare each case with an eye toward litigation, but recognizing that sometimes pre-suit settlement by way of arbitration, mediation or direct negotiations with the insurance companies involved is the preferable course of resolution of the case. Due to our wealth of litigation experience since 1986, as well as our background working for law firms who defended personal injury cases in the 1980’s, we have the distinct advantage of knowing the philosophy of insurance carriers from the inside, and have an edge in knowing how they think and operate. This experience is essential and invaluable in preparing our clients for the rigors of litigation, such as appearances at municipal hearings, depositions, and trials where the client must be able to withstand the difficulties of cross examination by defense attorneys whose goal is to limit compensation and defeat the plaintiff’s claims. In addition to our extensive practice representing the victims of accidents, defective products, and medical malpractice, our office also handles a wide variety of criminal matters, including DWI’s, aggravated unlicensed operation, impaired driving charges, assaults, document fraud, drug possession, administrative hearings, refusals to take chemical tests and traffic infractions. Please also visit our criminal and DWI website at www.dwilawnewyork.com. Avid tennis player, baseball and basketball coach for my 12 and 7 year old sons, Guitar enthusiast, and fan of all types of music including rock, folk, jazz and classical.